#240. 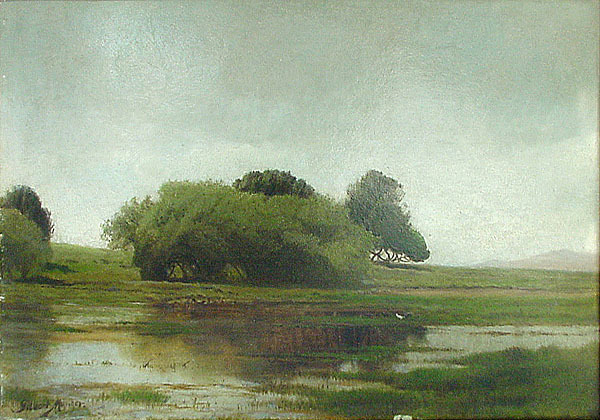 Alluvial Landscape in High Summer. 14 x 20, oil. "Gilbert Munger" lower left. The topography suggests the scene is in southern Scotland, or possibly northern England. 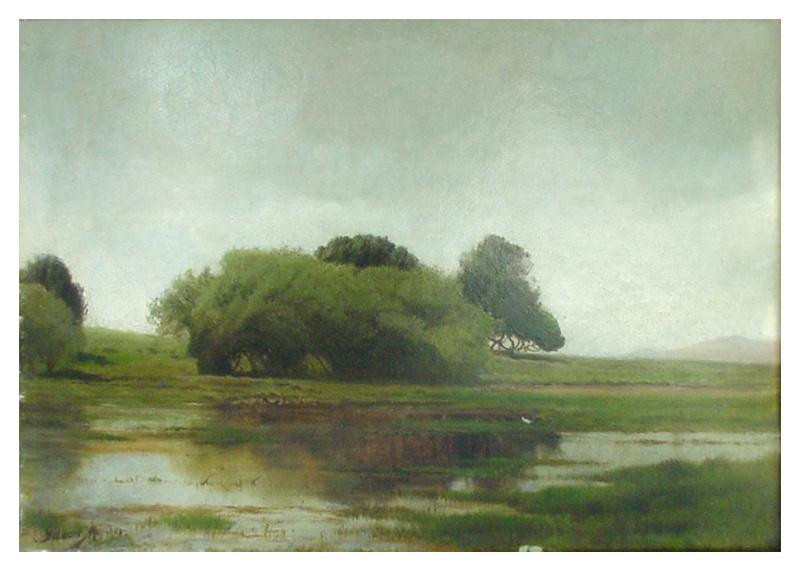 Sold for €1100 + 22% at Van Ham Fine Art Auctions, Cologne, Germany, sale No.242 of 2 July 2005, lot 1797. Image from auction house.